When living with your family (especially those with small children) I have found that it is best to adapt to the space rather than “training” your family to use an area in a way that they are not presently doing so. A classic example is the front hall of your home. Our family gets together in northern Michigan for a week or two in August every summer. The Grandkids all kick off their flip-flops the minute they walk in the door. Now, we could implement a strategy to have them take their shoes to their rooms but that isn’t likely to work. Our solution was to put a big, attractive basket by the door so they can kick their “flippies” into it. Everything is contained. 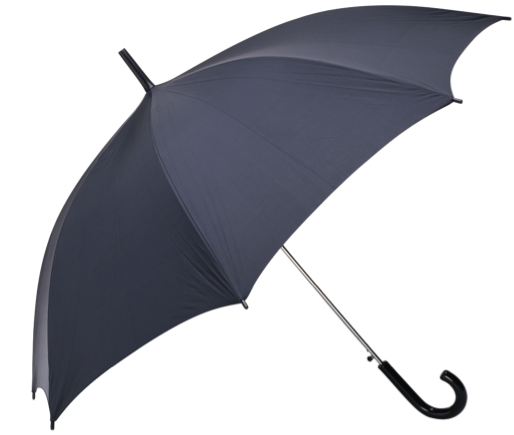 This could also work for gloves & mittens in the winter or umbrellas in the spring. You could have a small piece of furniture with drawers for mittens and then for spring, purchase an umbrella stand or container so that the umbrellas have a place to be stored near the door. Small adaptations such as these will make a big difference in how you use an area of your home. It should also hopefully cut down on some of the inevitable arguments that go along with stuff being left in an area where it doesn’t belong. Do you have an area of your house that could use an adaptation makeover or am I the only one?! Now that summer is officially behind us and if you live in a climate where there is more than one season, you should store off-season clothing carefully to avoid damage from insects, mildew and mold. Be sure to wash and dry all garments thoroughly before storing. 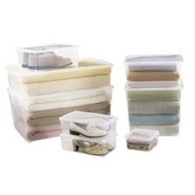 Garmentcare.info suggests that you do not store clothes in plastic bags or airtight containers. They think that Rattan trunks are perfect for storing clothing, as they allow the clothing to breathe when air circulates through the rattan. Here are a few tips for safe storage of different types of clothing. Linen garments should be rolled and then placed into their storage container to prevent deep wrinkles in the fabric. Knitted and silk fabrics should always be stored flat but if you hang these items, be sure to pad the hangar well with white acid-free tissue and cover it with a garment bag. Fur garments should be stored professionally. Wool should be thoroughly cleaned, padded and wrapped in white tissue. Add mothballs to the storage area to prevent moth damage. Reduce dampness in closets by using a product like Damp Rid to keep the humidity down in your storage area (in the basement for example). 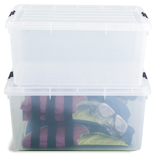 If the weather in your area is cool and dry, be sure your storage areas are well ventilated. Always store garments loosely so they can breathe and air can circulate. Always clean garments before you store them. Insects are attracted to drink, food and perspiration but more importantly it will be nice to know that your items are clean when you need them the next season. Areas where garments are stored should be dark and clean. Light fades colors and attracts insects. Try to avoid storing your off-season clothing in the basement or attic when temperatures tend to be extreme. This can damage your clothes over time which will “age” them prematurely. All natural fibers such as cotton, linen, silk & wool should always be stored in a well ventilated area. To freshen up your garments after they come out of storage just fluff them in the dryer on low heat with a fabric sheet and voila, you’re ready to go. If you use mothballs, don’t let them touch your clothing, just use an old sock. This is not a “commercial free” site so I apologize but I liked that she had so many different videos to choose from. I particularly like being able to see what is in a particular box. I also like these “heavier dutier” ones too for ski gear, winter boots, etc. A few years ago I put Bounce fabric softeners in my containers when I stored them. They were “fresh” when I opened them 6 months later and I loved it! That is a simple low cost option but you can also use moth balls or cedar blocks that are also available at The Container Store.